Sorry, Velocity RDA Clone has been discontinued. The Velocity RDA is one of the hottest dripper on the market. This is a 1:1 clone by #Modz. It features a very innovative two posts design, with each post featuring two large holes for simple to the most advanced builds with the lowest gauges of wire. Its total of four post holes allows for quad coil builds. Its features hex screws that will keep your wire tightly in place, and includes an Allen key in the box. Its deep juice well will keep your wick wet for a long time and it features two horizontal air slots as well as six adjustable smaller holes to bring for additional air intake. 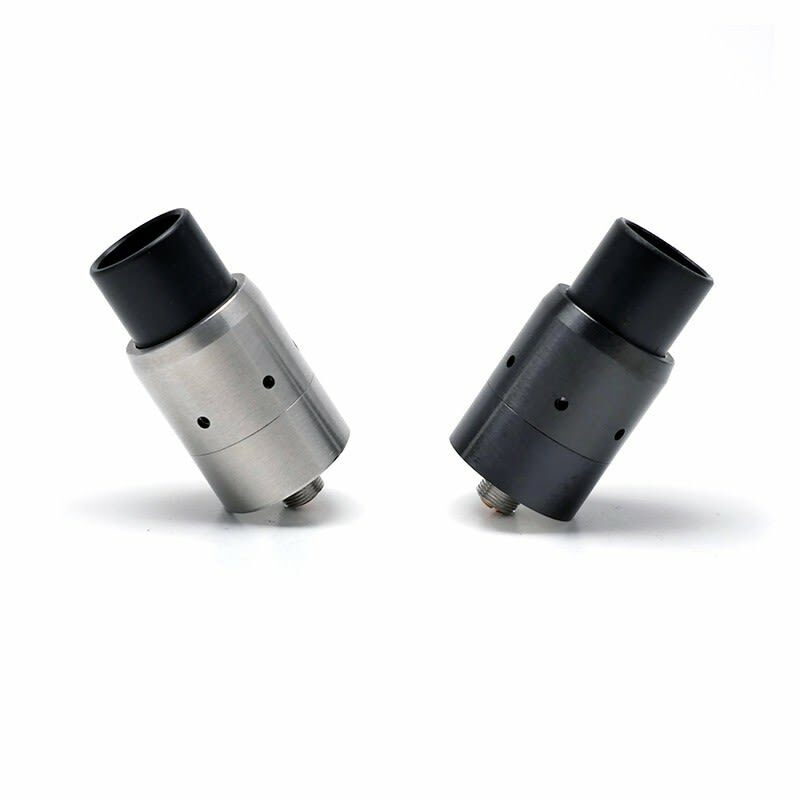 It comes with a super wide bore Delrin top cap, as well as 510 Delrin drip tip adaptor cap. Really nice RDA. The two post design makes it super easy to build on. Big post holes, and good airflow. 4 stars because there is no option for single coil builds. Best RDA I have ever used. The amount of air this thing draws in is unreal, not to mention the flavor on it is fantastic. Lots of space to build as well. The price cannot be beat either. I especially like the fact that you can blow HUUUGE clouds if you want. $22.95? WHAT??? You probably waste that money on fast food everyday, don't waste your money. Buy this RDA. Trust me. 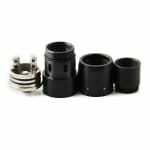 This is a great RDA for anyone looking to start building to even the most advanced builders. 5/5 stars, such an enjoyable experience with this RDA.